Foo's Asian Grill is a Asian, Thai, and Sweet Stuff restaurant where most Menuism users came for a meal on the go, paid between $10 and $25, and tipped between 15% to 18%. "Very nice people. Great tasting food. We order often. " A diner from Dallas, TX tried it, liked it, and rated it . They liked the food. Very nice people. Great tasting food. We order often. A diner from Irving, TX tried it and liked it. 2 reviews of Foo's Asian Grill, first by seungk. I was flying in through DFW but was down with a flu so i decided to order in some hot soup to clear my congestion. I did a bing search and this place showed up for hot soup 75060. I had read good reviews of this place here so i went ahead and ordered in TomKha soup for 6.85 and their combination friend rice with beef, shrimp and chicken for 8.95 using their online ordering. I only wanted soup, but since they had a $15 minimum for delivery i added the combination fried rice. The food came in within 30 mins. The delivery driver refused my $2 tip. I was surprised. The soup was heated up as requested, so i did not need to reheat it. However the combination friend rice was totally disappointing because there was not a single piece of shrimp in it. The chicken and beef were sparse. The rice was mediocre. I called the restaurant directly to inform them about the missing shrimp and got forwarded to a man who allegedly is the cook/owner himself. He kept insisting that he put in the shrimp but maybe the delivery driver ate it. Then he hung up on me. When i tried to call back, someone kept picking up the call but hanging up after a few seconds each time after letting me hear a loud chopping sound (of perhaps a kitchen knife or some other utensil), chopping down on some wooden surface. This went on for a while everytime i tried to call back. After about four attempts, the original lady picked up at which time i asked for her name and the name of her manager. The people at this place are not customer-oriented. They are nasty people. Do they think this is China or Thailand or what? I am planning to file a case with the better business bureau. the combination friend rice was totally disappointing because there was not a single piece of shrimp in it. The chicken and beef were sparse. The rice was mediocre. I called the restaurant directly to inform them about the missing shrimp and got forwarded to a man who allegedly is the cook/owner himself. He kept insisting that he put in the shrimp but maybe the delivery driver ate it. Then he hung up on me. When i tried to call back, someone kept picking up the call but hanging up after a few seconds each time after letting me hear a loud chopping sound (of perhaps a kitchen knife or some other utensil), chopping down on some wooden surface. This went on for a while everytime i tried to call back. After about four attempts, the original lady picked up at which time i asked for her name and the name of her manager. The people at this place are not customer-oriented. They are nasty people. These dishes from the Foo's Asian Grill menu are contributed by Menuism users directly, as part of a restaurant review, or as part of a photo upload. Do you own Foo's Asian Grill? Contact us to connect with your diners. Foo's Asian Grill is located near the cities of Dallas Tx. 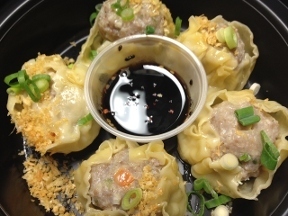 People found this by searching for: Foo's Asian Grill Irving, Foo Asian Grill Irving Tx, Foo Asian Grill, Foos Asian Grill, Foos Asian Grill Review, Foo's Las Colinas, Best Thai Irving, and Foo Asian.